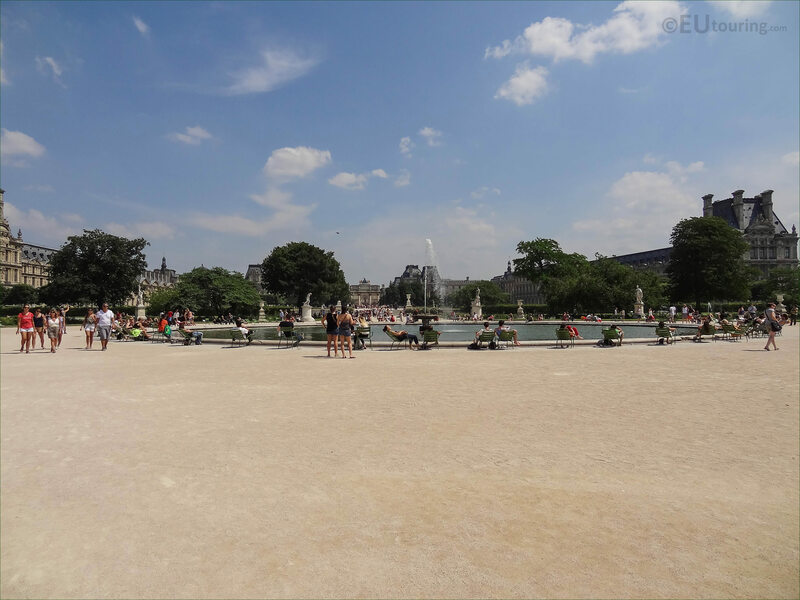 Again we were in the 1st Arrondissement of Paris at the Jardin des Tuileries within the Grand Carre area, when we took these high definition photos showing the Grand Bassin Rond. 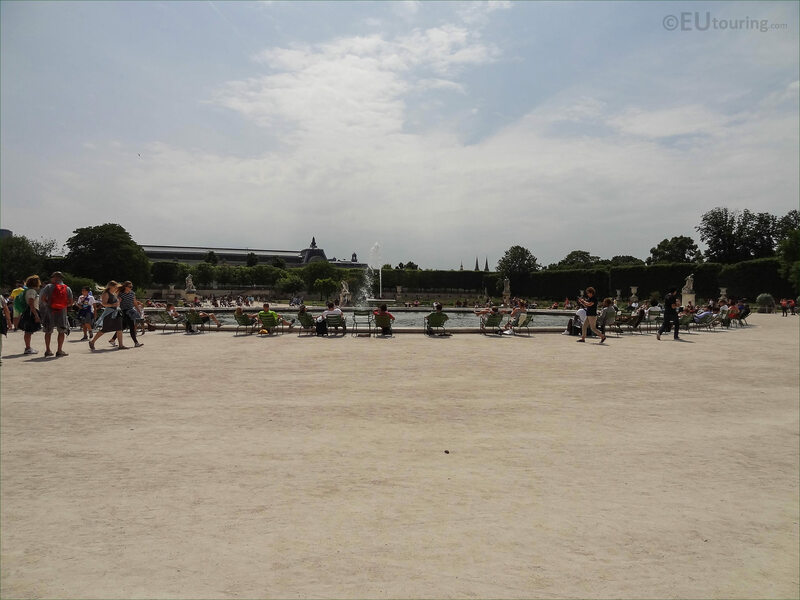 This first HD photo shows a view looking over the Grand Carre area of the Tuileries Gardens towards the Grand Bassin Rond, which in English translates to the Large Round Basin, and this is located in the eastern part of the gardens. 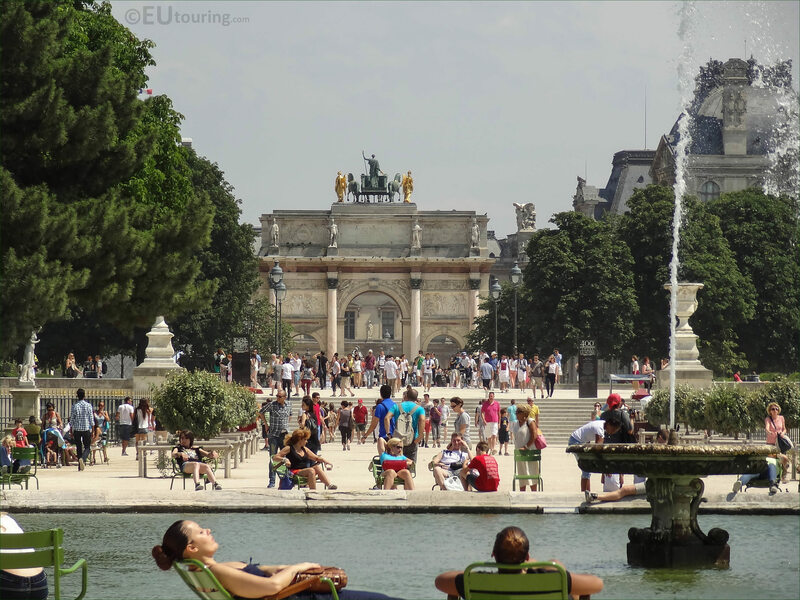 Classed as a UNESCO World Heritage Site, the Tuileries Gardens sees millions of visitors each year, and here you can see a view looking over the Grand Basin Rond towards the Arc de Triomphe du Carrousel and the Musee du Louvre, along with numerous tourists and locals enjoying this free public park. 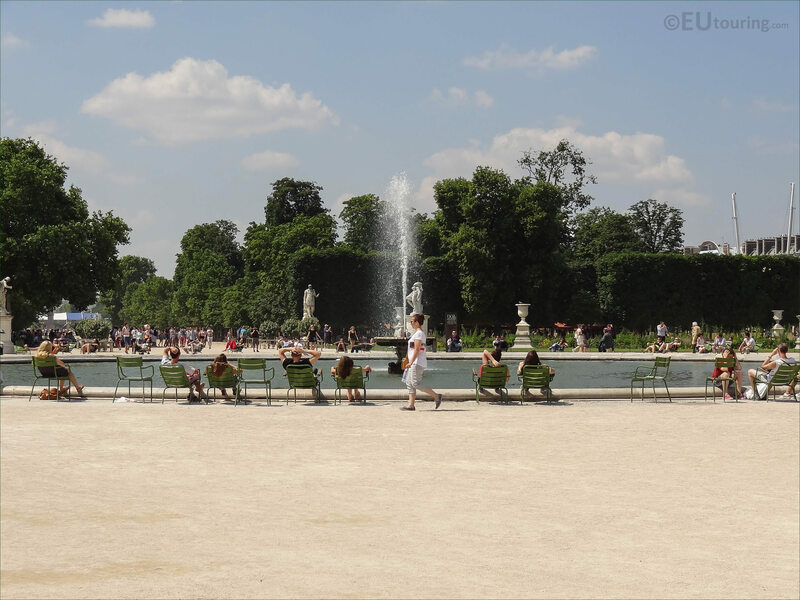 The Tuileries Gardens have been an area for people to promenade or relax for centuries, with the large round basin first being put in place in the 1600s by the landscape architect and gardener, Andre Le Notre, yet this area was not always open to the public, as it was sometimes only available to royalty or their court and guests. 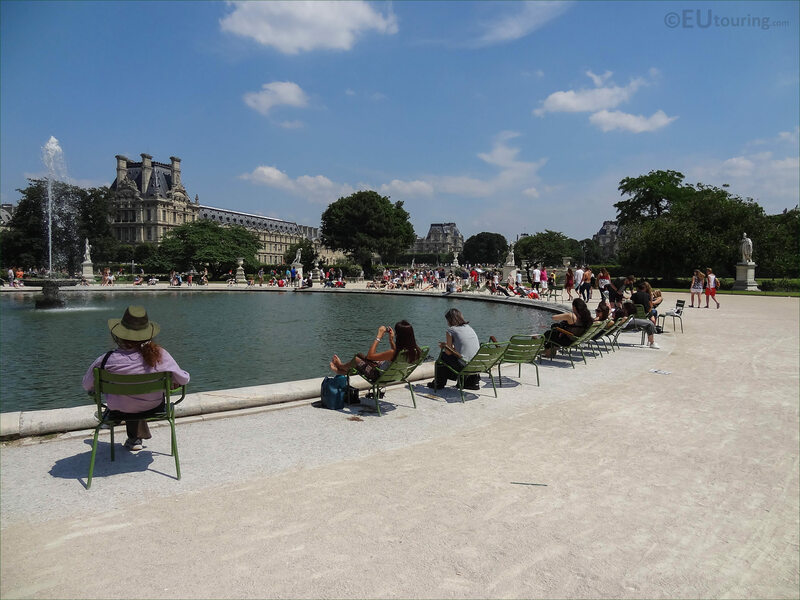 However, many famous events and celebrations have taken place over the years within the Jardin des Tuileries, and in fact, an early balloon launch was made from the gardens in 1783 and chairs could be rented to see this occasion, yet the green chairs laid out today are free for anyone to utilise. 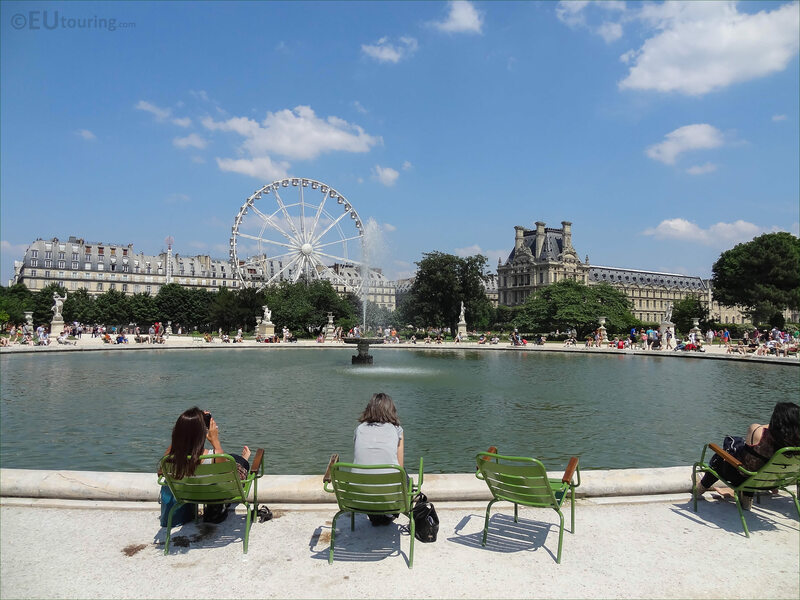 But here you can see a photo we took looking over the Grand Bassin Rond in a north easterly direction with the Pavillon de Flore of the Musee du Louvre in the background, along with a Ferris wheel that had been set up as part of a funfair within the Jardin des Tuileries for the Bastille Day celebrations and summer holidays. We were standing on the Allee Centrale, or Central Ally, which is the main axis with a view right through the Tuileries Gardens from the Place de la Concorde that would be quite a way behind us, over the Large Round Basin and water feature to the Arc de Triomphe du Carrousel and the Louvre Museum in the distance.